Goss & Sons Building and Roofing - Builder, Roofer based in Bracknell, Berkshire. 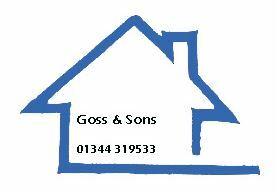 Goss & Sons local builders have been a Family run busines with over 30 years experience. We are a family run business where customer satisfaction is the most important part to us. Most of our work is reccomendation as we work to the highest standards. We are reliable and first class builders.